Why I'm the #1 Priority in My Life. I recently saw a Facebook post in which a woman talked about how she’s making her marriage work now. In this post, she talked about how her spouse is now her number one priority. Because this person didn’t ask for my opinion, I did not give it. I want to state for the record, that neither my husband nor my children are my number one priority! Nor will they ever be. Does this mean that I don’t love them? Absolutely not. Does this mean that I don’t value them? Of course not. Does this mean that I don’t support them? Clearly not.What exactly does this mean then?It means that I will always be the highest priority in my own life. I can already hear some of the outrage, as people are reading this. So let me answer a few questions now. No, this is not me being selfish or self-centered. This is me, taking care of me. Which is healthy and necessary! Here’s how I explain it to the clients in my office: When you are on the airplane, who does the flight attendant tell you to put the oxygen mask on first and why? The correct answer to this question is, “The flight attendant tells you to put the oxygen mask on yourself first because if something happens to you, what good are you to your child?” When I first moved in with my husband and kids, I knew all of this information. And yet….. Somehow….. I had made them a higher priority than myself. This wasn’t an intentional progression, but it still happened none the less. As a result of this, I had lost a piece of myself. I no longer was working out that the gym, I hadn’t gone to pain pottery in months, I hadn’t gone to a movie by myself in years, and getting a massage was absolutely unthinkable. Maybe you have some negative connotations with the word priority. How would this be different if I asked who the biggest cheerleader in your life was? It should be a concern that most of us are easily able to identify ourselves as our own worst enemy. That’s not the way it needs to be. If you put yourself first, you have more of yourself to give to others. If you are constantly drained from taking care of everyone else, there are no left overs. The other issue with that problem is that it doesn’t allow for time to refill your own cup. Even if you don’t want to use the words, “number one priority”, let’s agree that it’s a crucial move to go from your own worst enemy to your biggest cheerleader. Allow me to give you the steps to make this happen: 1. Gratitude: This more than likely seems like a “catch all” but it’s really not. Gratitude is a complete game changer. Trust me, when I began expressing gratitude about every flaw, every mistake and every imperfection…things changed massively. 2. Don’t sweat anything: I typically use the framework of “How important is this compared to my health or my sanity.” When compared on this type of a scale, very few things actually register as relevant. I literally apply this filter to every area of my life. Before I allow myself to get upset about a situation, I ask myself that question. If the answer is no, I made the decision to let it go. 3. Act as if: Whether you ascribe to the Fake it until you make it or the Law of Attraction, there’s a substantial amount of merit in the acting as if philosophy. It doesn’t really matter if you intellectually are ready to be the number one priority in your own life, or if you even emotionally understand it. What matters is that you are willing to act as if, because there is where the magic will happen. 4. Self-hypnosis: Let’s be honest, most of us have a lot of subconscious mind programming that includes messages like “If you are the number one priority that means you are selfish and you will end up a lone.” Not only is this absolutely inaccurate, but it’s not a healthy mindset. Therefore, I encourage all my clients to use hypnosis to create the behaviors and habits that they want to have. 5. Don’t instantly commit: Over twenty years ago, I watch an Oprah episode and they had a person on their talking about how to not overcommit. She suggested that before you commit to anything you use this phrase, “I need to check my calendar.” The person explained that this gives you the emotional distance to figure out if this is actually something you want to do or not. I have fully adapted this in my life. I no longer over commit myself and don’t instantly commit to anything or anyone. By using this process, it’s allowed me the distance to evaluate it I actually want to engage in the suggested activity. 6. Boundaries: I mean this in a very literal way. Boundaries have saved and changed my life! If I don’t want to do something I simply tell someone no… I don’t apologize and I don’t offer an excuse. Many of my clients struggle with the concept of no being a complete sentence. 7. Jenn’s golden rule: I encourage everyone I work with to treat themselves like they treat other people. So many people are unnecessarily hard on themselves, and treat other people with so much grace and love. How would your life be different if you treated yourself as well as you treat other people? If it would be substantial, please start that now. Do not wait. I believe that once you see your own worth and value, it becomes easier to make yourself the number one priority. My experience is that once I made myself the number one priority in my own life, everything else fell into place. Traditionally, I’m one of those neurotic people who is done with my Christmas shopping long before now. Historically, I’ve already written out the recipes for Thanksgiving dinner and begun strategically cleaning my house. There are many reasons why this year is different. If I wanted to live in denial, I could say that I am just “staying in the present moment” now. However, that is a fairly simplistic response compared to where I’m at.It is currently 9 days before Thanksgiving. Society, as a whole has felt an increase of stress, pressure, and exhaustion in the last month or so. The reasons for the increase of stress are as multi-faceted as the solutions typically presented. The list I am about to share with you are the ways that I have safely navigated eliminating the Holiday stress. Feel free to apply any, all or a couple of the suggestions below: 1. Say No: I suspect that part of the reason so many people are over extended is because they don’t know how (or are not comfortable) saying no. Let me be perfectly clear, you don’t owe anyone an explanation today. I advise people that NO, is a complete sentence. 2. Down Time: I typically schedule two half days for me to get “stuff” done. I dedicate one of those days to things like: reading, journaling, blogging, taking long baths, watching shows I don’t normally watch or doing whatever my heart desires. I’m a firm believer in doing this stuff, even if you only have an hour to spare. 3. Gratitude: I literally include gratitude in every area of my life. From having a headache, to getting stuck behind a slow moving vehicle to receiving a bill in the mail. Gratitude is literally a game changer for me. My experience is when using gratitude for negative situations; it can cut the pain felt in response to them in half. While using gratitude with positive situations doubles the joy experienced with them. 4. Written Lists: I’m a huge person for lists; the reality is that most of my lists are in my head. However, when I put the list down in black and white, it instantly shifts the list to become more manageable. One of my initial “go to’s” when I experience any amount of stress, is to write out everything that I want to accomplish. The process of writing them down, allows you to eliminate the stress associated with what you need to get done. 5. Do 1 Thing: This is the mantra that keeps me motivated and productive. The way it works is, before you do anything you want to do, you accomplish one thing off of your to do list. For example: before I eat dinner, I do one thing; before I take a bath, I do one thing; before I got to bed, I do one thing. I’m sure it sounds so simple, but the reality is once you get going the momentum can be enough to catapult you to complete the list before you realize it. 6. Take Nothing Personally: Let’s be honest for a moment, even the healthiest and most well intentioned family members can say hurtful or silly things. If we can make a decision to commit to the habit of taking nothing personally, can you imagine how much freer and happier your life will be? 7. Limit Your Contact: Every human being alive has a limit, whether or not they are aware of it. If there’s anyone surrounding you during the holidays that are any amount of toxic, please limit your contact with them. My rule of thumb is if I don’t feel good around them, I don’t spend a lot of time around them. 8. Ask For Help: I have met so many people who view asking for help as a personal failure. I strongly disagree with this philosophy. My personal belief system is that we were not meant to live life on this earth isolated, therefore it’s healthy for us to ask for help. I encourage people to ask for help with the big things, the little things and everything in between. 9. Focus on the Meaning: No matter what the occasion, I encourage people to focus on what it means to them, personally. Not what our current culture has created it to be, but rather what they desire it to be about. If you view yourself as the author of the story of your own life, how would you describe the meaning of each particular holiday? 10. Set Yourself up for Success: How this applies will be different from person to person. For some people this will consist of having realistic expectations, for others this will include buying food for the holiday get together instead of making if from scratch. Allow yourself to succeed by treating yourself well, and creating an attitude of love, grace and encouragement towards yourself. I would like to offer a challenge to every person who comes into contact with this blog. I would like to challenge you to do something kind and loving towards yourself every day from now until January 15th. I encourage you to think about the ramifications of treating yourself well and loving yourself. My experience is once this occurs everything is possible. 8 Ways to Teach People How to Treat You. The sad reality of being an adult in the human world is at some point (and the point this occurs varies between people) we need to face the fact that we teach people how to treat us. Let me give you some examples from my life: Today I became acutely aware of a conversation that my husband had with another person about me. In that instant, I felt hugely betrayed and hurt. Not because of what the other person had said, but because my husband had explained that he was not confident in his ability to explain those same criticisms to me. At some point after I began processing this situation I became acutely aware of the part that I played in this situation. The reality is if I had been more graceful with other criticisms or complaints my husband had brought to me; he would have been comfortable in bringing this up to me. Let me change the context a little bit. Have you ever engaged in a negative conversation about a third party (who was not present during the conversation)? Why do you think that person felt comfortable bringing that conversation to your awareness? Most likely because you have taught them that you will either condone or participate in gossip. The variables change frequently, but I could go on with examples all day. The bottom line is we teach people how to treat us. The way, in which we teach people how to treat us, is primarily reinforced by what we accept and don’t accept. Below is a list of ways to teach people to treat you more effectively. Role Model: This is the strongest mechanism by which people will gauge how they can interact with you. How do you treat yourself? If you are constantly putting yourself down, it will not be long before the people around you are doing the same thing. When you honor yourself, it sends a very clear message to most people to honor you as well. Boundaries: In certain relationships my boundaries are extremely high. That is, in part, because of how I have observed those people treating others. My life is built on grace and love, however at the end of the day I love myself enough to know what my boundaries are. Establishing boundaries in your life is a huge sign of respect for yourself. Law of Attraction: The best paraphrase of the law of attraction I have ever heard was what you think about (and subsequently reinforce) you call more of to you. If you are surrounded by people who do not treat you the way you desire to be treated, try shifting your focus. Try being grateful for the lessons these people are teaching you. In my experience, when I’ve done this the relationship shifts substantially. Saying No: When I first started saying no to people it created a physical uneasiness in my body. I was so confused and overwhelmed with how wrong this felt. My encouragement is to make it a practice of saying no. It’s absolutely empowering to understand two key components: No is a complete sentence, and you don’t owe anyone an explanation today. Just say no. Practice with it. Make it fun. It’s absolutely an under developed skill in most people. Environmental: If you surround yourself with people who are respectful and have significant amounts of boundaries in their own life, they are more likely to respond favorably when you begin to establish and assert your boundaries. Surround yourself with people who treat you well, who respect themselves, and subsequently respect themselves. Conflict: I encourage people to have enough respect for themselves and for others to own their part in every situation. As adults we very rarely have a situation where we have no part at all. Recognize your part quickly and communicate with truth and love. Nothing is Personal: When I began ascribing to the philosophy of not taking things personally my entire life began to shift. This is due, in part, because I was no longer controlled by the “What if’s” or the “if only’s”. I suspect that the most powerful portion of not taking things personal is that it emotionally lets me off the hook if someone else is having a difficult moment. Act as if: The philosophy behind this methodology is the fake it until you make it theory. I have put this practice to the test. Imagine if you pretended as if everyone in your life treated you with dignity and respect? Imagine if you made the commitment to act like that for 14 days. My experience is that in about half the time you would notice a substantial shift in those relationships. I’m a firm believer in being pro-active in every situation in my life, and relationships are no different. Put these skills into practice and then pay attention to how different your life becomes in a very short amount of time. In the world of fair fighting this is a term to describe when both parties agree to not engage for a specified period of time. In the parenting world it’s where your child is not engaging with other people for a specified reason. However, for the purpose of this blog we are going to be looking at a different direction of the time out philosophy. When is the last time you took time out for you? I love working and staying busy, and this might be the first time in my life that I’m only working one job. However, working full time, being a wife, a mother for two bonus teenagers, and five pets leaves little time for me. I’m not trying to be dramatic here, simply realistic. By nature, of me being me, I am typically cognizant of those people in my environment and I work to make their lives better. I’ve realized lately that while I absolutely love my life, my family, my job; I need to take time for myself. Time when I’m just focusing on filling my cup and not focused on anyone else. Can you imagine how much more recharged you would fill if you took time just for you, on a regular basis? I think that this would make you a better person and you would be able to be more present in all of your activities and relationships. Set a timer: This seems like a ridiculous suggestion, but please read it all the way through. This is a great technique specifically for people who are time oriented. Set a timer for 20 minutes. Surely you can find 20 minutes a week to take some time out for you. Drop the guilt: Let’s be honest for a moment. Most of us are not motivated by guilt, so what purpose does it really serve. The only purpose I can find for guilt in my own life is to keep me stuck or paralyzed. Let’s agree to drop the guilt now, and replace it with complete acceptance. Ask for help: If this is a brand new concept for you, it might not be safe for you to just go out and spend time alone. Ask the person or people closest to you for help, motivation and accountability. What a phenomenal way to partner with those that you love. Just say no: While this might sound like a petty cliché, in reality is a very solid suggestion. No is a complete sentence. You do not owe anyone an explanation today. Let’s agree to give up the need to justify our decisions. Practice saying no to simple and easy things first, which will allow you to build up to saying no to the bigger things. 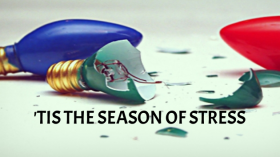 Drop the struggle: One of my favorite sayings is that those things that we resist grow stronger, and those things we accept dissipate quicker. How much different do you think your life would be if you accepted your own need for a time out, and allowed it to happen. De-clutter: I am, by nature, the exact opposite of a hoarder. Clutter, junk, and messes give me a certain level of anxiety. Can you imagine how much more welcoming and accepting you would feel of your needs if your home, vehicle, office and body were de-cluttered? It’s an ongoing goal of mine, and while I’m not perfect at it, I can recognize the strides I’ve made. Claim it: If we go off of the foundation that we create our reality by our thoughts, how much more powerful are out words? I would encourage you to state that you are going to begin taking a time out for yourself. This seems like the natural foundation for allowing this type of activity. Eliminate the all or nothing: I’m not sure that there are any philosophies as damaging as the all or nothing mindset. It doesn’t have to be all or nothing. It doesn’t need to be that you take a week in the middle of the jungle with no outside contact or no time for you at all. Why not start with small, measurable, achievable goals? Let’s set ourselves up for success versus failure. I’m making the commitment to myself that I’m going to take three 30-minute time outs for myself the next week. What commitments are you willing to make for yourself? I think you are worth it! What’s stopping you?